The PerMix PD series High Speed Disperser (or Dissolver) is ideally designed to meet the demands of a broad spectrum of industrial applications for dispersing purpose of solid or liquid materials into liquid body. PD series High Speed Disperser (or Dissolver) works with the powerful high speed rotation of the saw disc impeller. 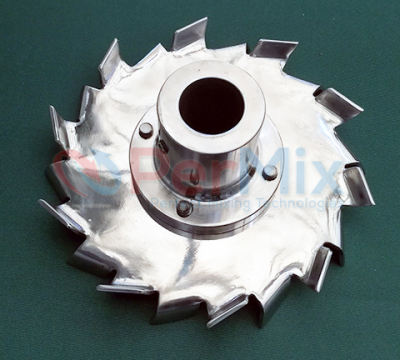 Liquid or solid materials are subject to the high shear force at the periphery of the saw disc when the impeller is rotating at high speed, and they are dispersed quickly and efficiently into the liquid body, after short time, homogenous dispersion is produced. The ease of operation and high efficiency of PerMix High Speed Dispersers reduce cost and operation time, and have proven themselves by providing the most economical solutions to a variety of dispersing problems. 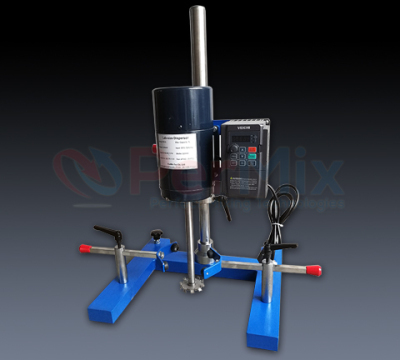 PerMix Lab-size High Speed Disperser (Dissolver) is used for R&D purposes by performing each of the previously mentioned functions. PerMix VACUUM High Speed Disperser (Dissolver) produces an intense motion which rapidly removes air or gases from the product. The built-in vacuum cover lifting device enables you to adjust the dissolver disc height without breaking the vacuum. PerMix TWIN-SHAFT High Speed Disperser (Dissolver): the exclusive combination of a slow running element with a high speed dissolver disc enables you to produce batches of excellent quality and uniformity, which are twice as large as those produced in a conventional system. This mixer can handle high viscosity products (up to 600,000 cPs) or large quantities of solids. A vacuum version of the PerMix TWIN-SHAFT High Speed Disperser (Dissolver) is also available as well as different types of slow running elements. 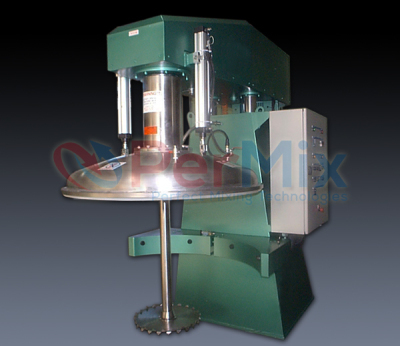 PerMix WALL-MOUNTED High Speed Disperser (Dissolver) is a practical and economical way to produce small and medium sized batches. 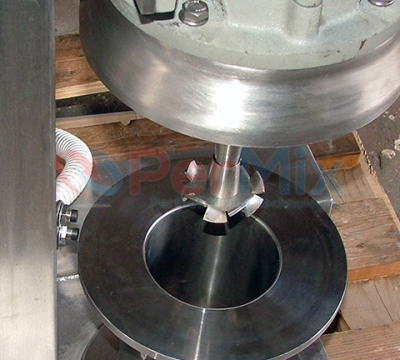 A counterweight helps elevate the mixer, which can then be locked in any desired position. As an option, the elevating system can be manually, electro-mechanically or hydraulically controlled.